The staff was incredibly friendly upon check-in and check-out, even helping us secure a taxi to Kyoto Station. The room was beautiful, and supplied things like a nightshirt, slippers, all toiletries - things most US hotels do not, so we were very pleasantly surprised! Location was within walking distance of several temples, bus stops, train stations, and many fantastic restaurants. Will absolutely stay here again! Immaculate rooms with clothes washer and air dryer, coffee maker, mini kitchen, modern bath. Beautiful, clean and comfortable. Located in Gion, the coolest part of Kyoto. The staff was super accomodating. Location is walking distance to restaurants, shopping areas, train stations and several sights. The staff were so friendly and helpful and the small room was rammed full of useful equipment - ideal if you want to cater your own breakfasts/lunches. Location was close enough to walk to shops, restaurants and touristic temples and shrines. Efficient, clean and comfortable apartments. Helpful staff. When you asked for something (like extra bottles of water) the staff brought it up immediately. 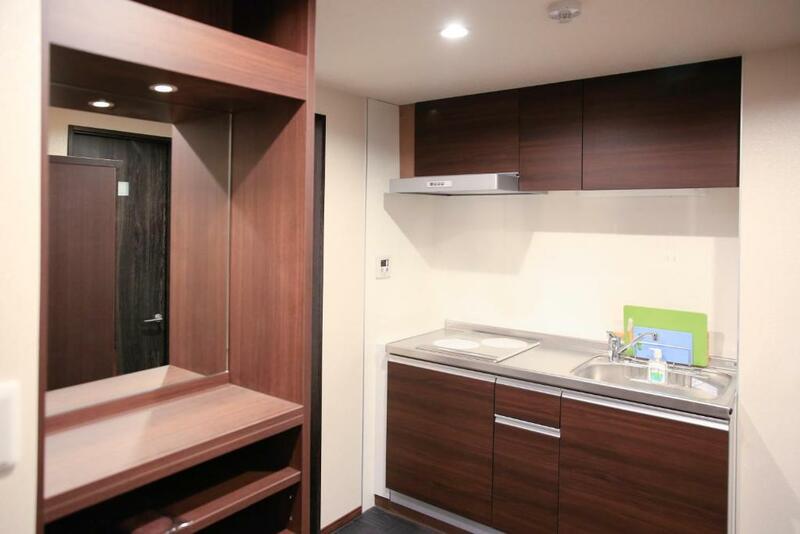 Very convenient location - close to subways, convenience stores, nice restaurants & Gion, Pontocho, everywhere really. Good rate ATM on-site. Good sized room and bathroom - loved the separate bath & shower area. Liked the little touches like the lint roller etc. Comfy bed. Staff were very flexible. We were supposed to let them know by 11am if we wanted our room cleaned. We cheekily asked at 1pm and this wasn't a problem for them. The toilet!! Location is perfect. Walking distance (20-30 mins) to the better temples. 5 mins to subway station. Everything was really clean and staff was friendly. Amazing hotel! Great location - both close to the train station and a popular part of town. Plenty of food and sites within walking distance. Inside my room was a kitchen, huge bathroom with plenty of amenities, space for a desk, table & chairs, and the bed. Would highly recommend this hotel. 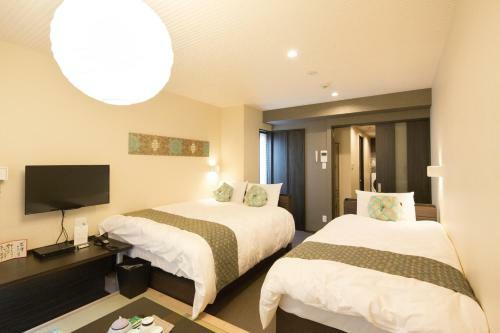 Lock in a great price for Gion HANNA STAY – rated 9.5 by recent guests! 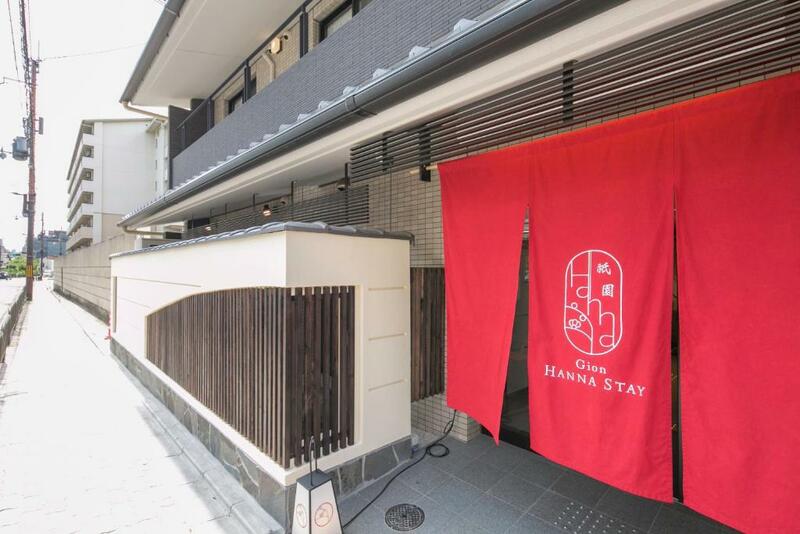 Gion HANNA STAY This rating is a reflection of how the property compares to the industry standard when it comes to price, facilities and services available. It's based on a self-evaluation by the property. Use this rating to help choose your stay! One of our best sellers in Kyoto! 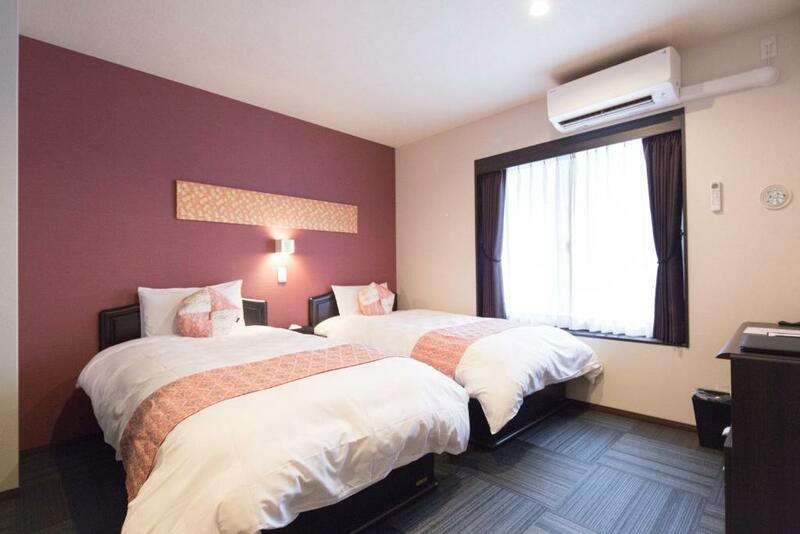 Located within a few steps of Samurai Kembu Kyoto and an 11-minute walk of Shoren-in Temple in Kyoto, Gion HANNA STAY provides accommodations with free WiFi and flat-screen TV. The accommodations feature a hot tub. The air-conditioned units have a fully equipped kitchen with a microwave and a toaster. There's also a fridge, stovetop and a coffee machine. The condo hotel provides an ironing service, as well as business facilities like fax and photocopying. Heian Shrine is 0.9 miles from Gion HANNA STAY, while Kyoto International Manga Museum is a 20-minute walk away. The nearest airport is Itami Airport, 31 miles from the accommodation. Higashiyama Ward is a great choice for travelers interested in old-town exploration, walking and atmosphere. 뀐 Located in the top-rated area in Kyoto, this property has an excellent location score of 9.2! 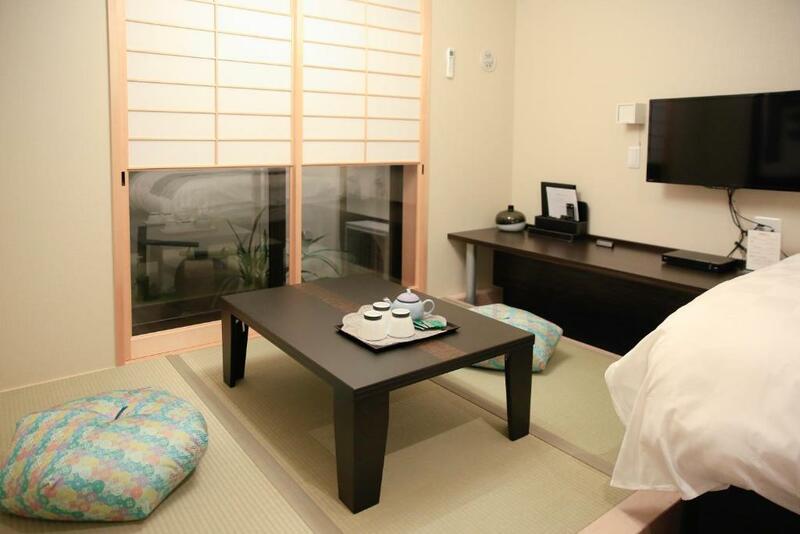 When would you like to stay at Gion HANNA STAY? This twin room has a microwave, toaster and tea/coffee maker. This twin room features a soundproofing, kitchenette and tea/coffee maker. This twin room has a DVD player, electric kettle and soundproofing. This twin room features a microwave, DVD player and kitchenette. This double room has a electric kettle, tea/coffee maker and flat-screen TV. This twin room features air conditioning, tea/coffee maker and kitchenware. This twin room has a microwave, tea/coffee maker and soundproofing. 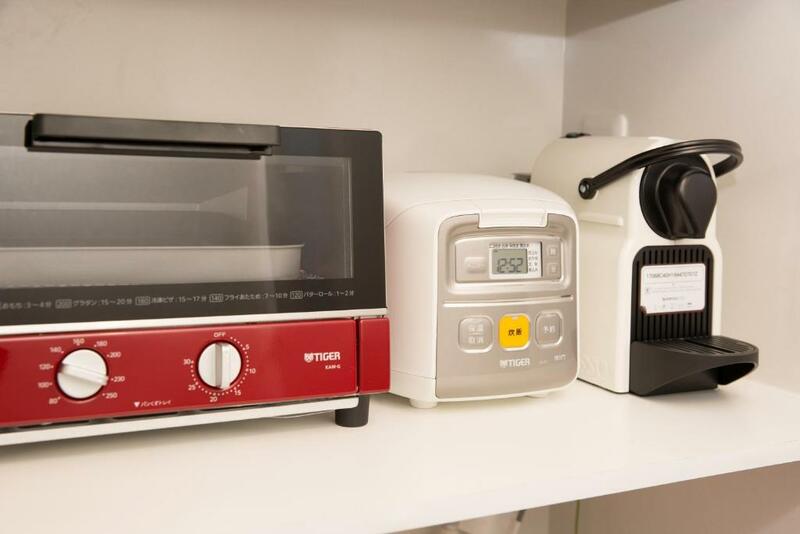 This triple room features a microwave, electric kettle and kitchenette. This twin room has a microwave, kitchenware and air conditioning. This twin/double room features a DVD player, tea/coffee maker and air conditioning. We respect traditional culture and history of Kyoto, and we strive to make our guests feel like staying home during your stay with us, and make the guests feel like coming back as “second home”. The word “HANNA” comes from Kyoto dialect saying “Hannari”, which is a special Kyoto word for a true Kyoto spirit: elegant, bright and classy in a tasteful manner. We wish to serve you with such “hannari” style hospitality. 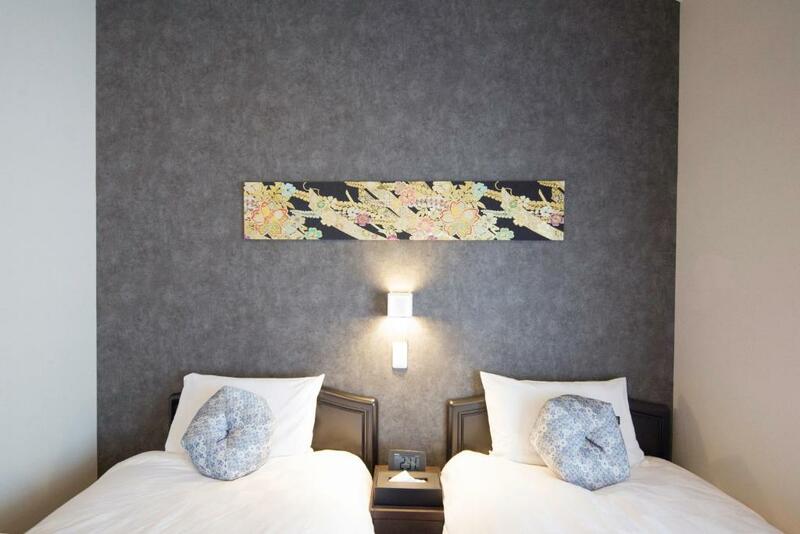 Enjoy a special experience in Kyoto at our new residential style hotel. Each room has spacious kitchen, kitchen appliances, separated bathrooms, washing machine. Extra amenities, water bottles are for free of charge, and we have free WIFI throughout our property. We have variety of handmade maps available at the reception for sightseeing, restaurants and cafe etc, and also we can assist vegan / vegetarian guests. As the increased population of vegetarian worldwide, we made a handmade map for vegen and vegetarian. Area Info – This neighborhood is a great choice for travelers interested in old-town exploration, walking and atmosphere – Check location Excellent location – show map Guests loved walking around the neighborhood! House Rules Gion HANNA STAY takes special requests – add in the next step! Gion HANNA STAY accepts these cards and reserves the right to temporarily hold an amount prior to arrival. Please note, guests can choose from the below cleaning options. Different charges apply depending on the option. Please inform Gion HANNA STAY of your expected arrival time in advance. You can use the Special Requests box when booking, or contact the property directly using the contact details in your confirmation. There was a slight confusion over the check-in time. The beds were a bit hard. If that could be improved the place is excellent. The front desk isn't 24 hours, but staff were friendly and explained the process at night. Easily accessible without the front desk staff at night. No view from the window. The toilet kept opening up. Gion HANNA Stay wasn't our original hotel in Kyoto, but I'm so glad we stayed here instead! Even before we arrived, the staff were already so helpful in answering my questions and helping us with our concerns, such as booking cabs during our very early check out. They were just as kind and accommodating during our stay, always greeting us politely and helping us. I'd particularly like to commend Ms Kataru, who communicated with me prior to check-in and who was very helpful throughout our stay. I'd also like to thank the young gentleman whose name I did not get--I needed help with the stove and he wasted no time going to our room to address my issue. The hotel itself is an absolute value-for-money gem. It's located just minutes from Sanjo Station and to downtown Kyoto, which meant we could easily walk to Gion and the shopping and dining areas, and easily travel to farther locations like Arashiyama and Fushimi Inari. Arriving from Osaka was also very easy, thanks to the Keihan line. We love how quiet and safe the immediate area of the hotel is, while being very close to all the action. We booked two triple rooms, which were perfect for our family of six. The rooms had everything we needed during our stay, were very clean, and had new and well-maintained amenities. The bathroom was spotless and spacious with top-of-the-line technology (love the bidet and drying/ventilation/heating system!). There was also a kitchen with complete sets of cooking and dining materials. The heating in the room was also great since we stayed in the winter. Everything was great and truly made our stay very comfortable. Amazing location, amazing and very helpful staff - they went leaps and bounds to make our stay great. They helped us a lot to organize Yamato (luggage transfer) to our next destination. 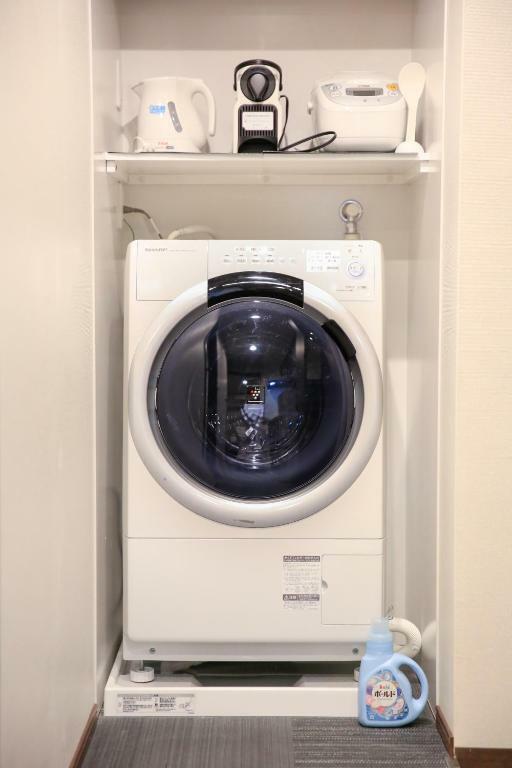 The room is full of amenities including a combined washing & tumble machine that was super after 10 days in Japan prior to visiting Kyoto. There is one older Japanese (non-English speaking) man who was there often. I gather he might be a manager, an owner, or someone with seniority. He was not very nice to his young English speaking staff, and he was not very nice to me. My interactions with him left me feeling very uncomfortable. An additional, albeit minor complaint is the room views are lacking - but I wasn't seeking a room with views. The young English speaking staff were delightfully nice and helpful. The hotel room was modern, clean, comfortable, and equipped with neat technology. We also had a laundry machine and kitchenette in our unit. The location is close to the subway, and is positioned near many sights, attractions, and restaurants. I pretty much loved everything. Everything was super clean, we had a lot of towels and they even provided pyjamas! Most places only have like razors, shampoo cotton buds and maybe a shower cap or a nail file. They had these awesome body towels for the shower and I loved the cosmetics(makeup remover, toner and lotion). It was high quality stuff, which I also then bought at the airport! The beds were comfortable and clean. They had a washer/dryer in the room and a fully equipped kitchen. The place was more like a serviced apartment which is really nice. The location is also great, you can walk to nearly every tourist attraction. And they also provide you with a little map which shows you where the nearest attractions are. Very good restaurants are in walking distance( max 10min). The subway is also just a 3 min walk away. I strongly recommend this place to anybody wanting to stay in Kyoto! Thoughtful! Everything provided for. Amenities good, storage for luggage, complete kitchen ( even though we didn’t use). Laundry in room! Could not be happier.